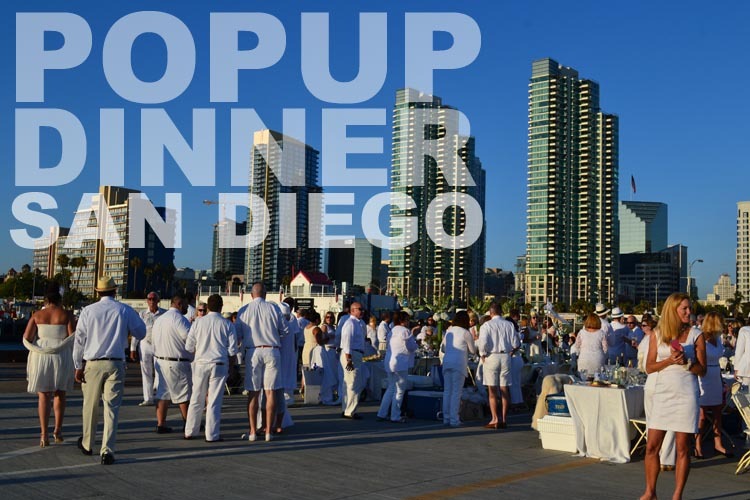 PopUp Dinner San Diego | how 'bout some cake? 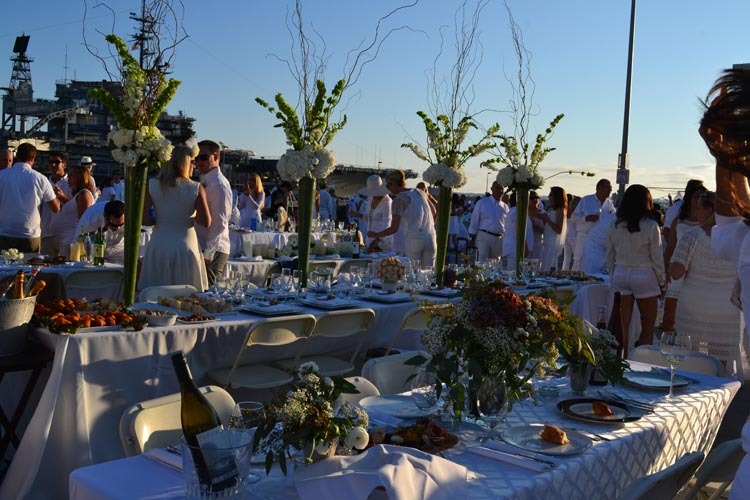 A few months back my friend Katie forwarded me an email about a PopUp Dinner. It’s a relatively new concept in dining, a vein of the PopUp Restaurant craze. The email didn’t provide much information other than the date and the theme (which was white). The idea is that you sign up, then at 3:00 PM that day you receive an email with the location. You arrive around 6, arms full of food and decorations. By 6:30, the tables have been transformed into uniquely beautiful smorgasbords of cheese, wine, and hors d’oeuvres. All of the tables were beautiful, but some were really extraordinary. I’ve seen wedding tables less ornate than this! At 7:00 we were surprised with a synchronized dance. It was immediately followed by the ceremonial napkin-wave, which means that the first course is served. 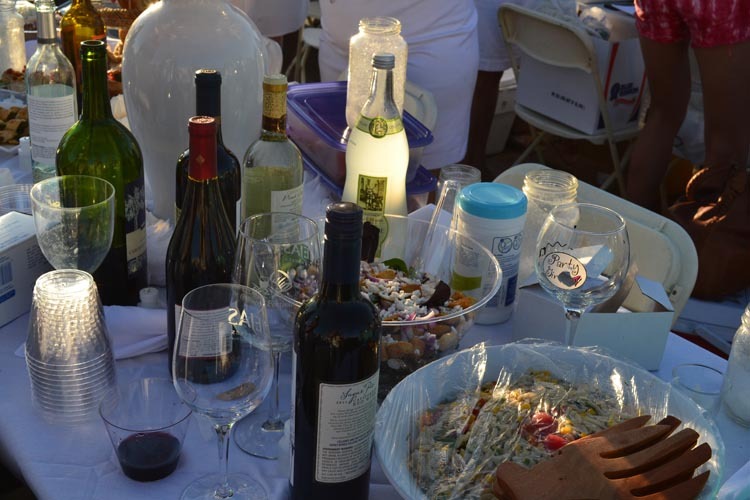 Since it’s basically a picnic, there’s no formal service or menu. My group consisted of about 30 ladies, resulting in a buffet fit for 60 or more. 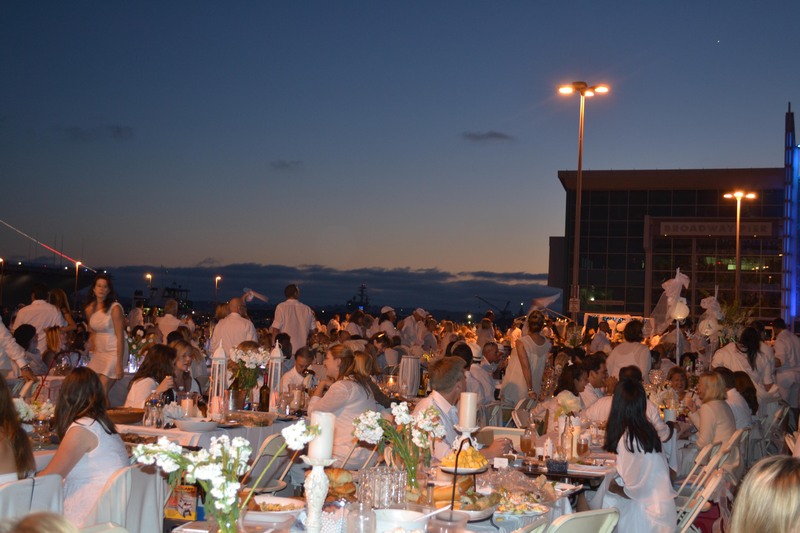 The sun set over the ocean just as we finished dessert, so we slipped into the sea of white that was the dance floor and danced ’til the end of the night. We all had a wonderful night. While my expectations were low, they were vastly exceeded. I’d recommend this to anyone who loves a good party and doesn’t mind a little prep work! 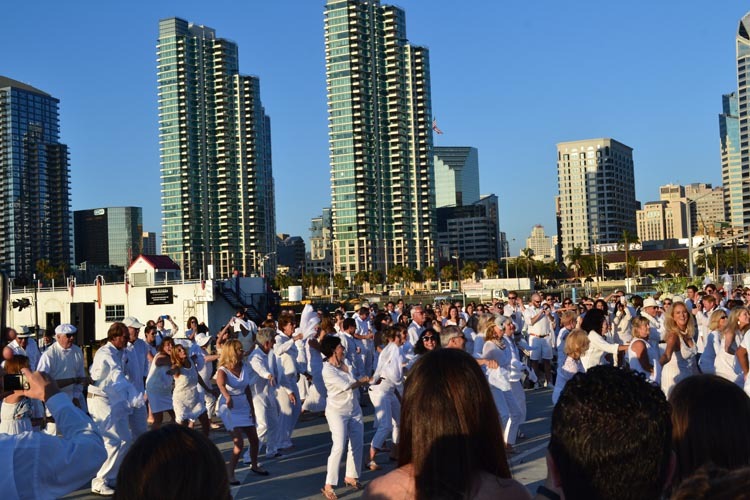 This entry was posted in Travel, Uncategorized and tagged PopUp Dinner, San diego. Bookmark the permalink. This is SUCH a cool concept. I’d love to do something like this! You’d love it! And with all your amazing crafts and recipes, I’d love to be at your table! Sounds super fun! I bet the food was interesting as well! wow looks so amaze fun! xO!